Whilst fiestas are thin on the ground (the 6th and the 8th are public holidays rather than excuses for a celebration) there is absolutely loads going on connected with the festive season. To get a festive feel look out for some of the island’s belenes and visit one of the more historic towns after dark when Christmas lights make them even more magical. 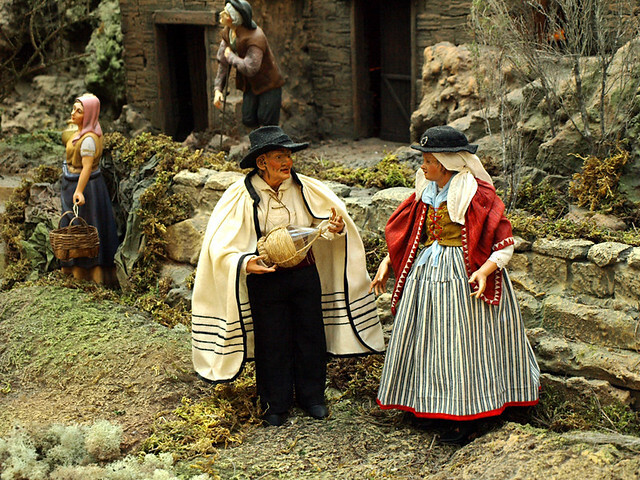 Santa Cruz has one of the most extensive Christmas programmes on Tenerife. The capital city looks fabulous after dark and there are events galore with classical, jazz and folk concerts, markets, art in the street etc. The big event is the free Christmas Day concert by Tenerife Symphony Orchestra at the port. We don’t have the full agenda yet as they haven’t published it, but the council is saying there will be more than 100 events. I can tell you how many metres of Christmas lights there are in the city… if you really want to know. Packed agenda throughout the month in Puerto de la Cruz with classical concerts with a Bach theme, Christmas markets, belen exhibitions, parades including Los Reyes Magos, folklore concerts and the end of year party in Plaza del Charco. Here’s the full Christmas programme. Adeje always put on a decent Christmas programme with some of the best events taking place in the town of Adeje and at La Caleta. For Christmas concerts, markets and the Los Reyes Magos parade, Adeje Town is best whereas the end of year party at La Caleta is probably the best outdoor bash in the south of Tenerife. Full Christmas programme here. 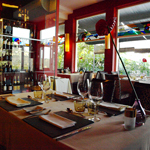 Events in Arona are a bit spread out between the resorts (Los Cristianos and Playa de las Américas) and the municipality’s main towns in the hills but there are concerts, markets and various events planned. Full Christmas programme here. Note: A day after I hit the publish button on this, Granadilla de Abona published their Christmas agenda. Better late than never, here is the full programme of events. 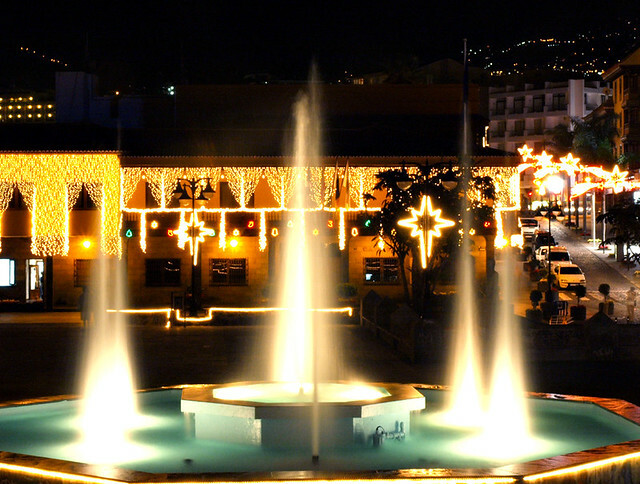 All of Tenerife’s municipalities will have Christmas programmes planned involving the sort of events mentioned above to a lesser or greater degree. Fortunately, some municipalities are on the ball at publishing their Xmas programmes, whereas others lag behind. Generally speaking, the more historic and bigger a town is, the more events there will be. Tourist offices and cultural centres are best places to find full details. This year’s big Christmas show at Tenerife Auditorium is an updated version of the Andrew Lloyd Webber classic. I’ve never been able to see that title without adding the ‘amended’ lines we used to sing in the school playground. Here’s the full details. This year there’s another show for all the family on the 3rd Jan, Pocahontas. The last big DJ fest of the year at Siam Park sees 8 DJs heat up the coolish December night for a nine hour gig. December is gospel music time in the Canary Islands. This year the Mississippi Gospel Choir bring their sweet soul music to Guia de Isora (Auditorio Guia de Isora, 5 December, 8.30pm, €6) and La Laguna (Teatro Leal, 7 and 8 Dec, 8pm, from €12). Meanwhile, The Latonius and Star D Choir do their thing at Los Cristianos (Infanta Leonor, 6 Dec, 9pm, €12), Granadilla de Abona (Convento Franciscano, 12 Dec, 8.30pm, free entrance) and Adeje (Cutlural Centre, 21 Dec, 8.30pm, €5). 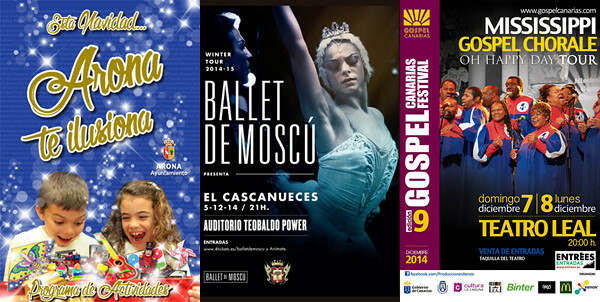 Regular visitors to Tenerife, the Moscow Ballet perform Swan Lake and The Nutcracker at the Teatro Leal in La Laguna (3 and 4 December, tickets from €25) and The Nutcracker at Auditorio Teobaldo Power in La Orotava (5, 12 and 14 December, 9pm, tickets from €25). 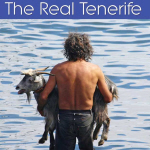 An enchanting festival sees storytellers from across the world descend on a charming Tenerife town that most visitors don’t even know exists for a week of telling of tall tales. You could say there are plenty of bars on the island that hold a similar festival every night. The 6th and 7th is best with stories being told from 9 in the morning till the storytelling ends with tales around midnight. How bad these tales are who knows, but the blurb warns they’re not suitable for anyone with heart problems. One for the kiddywinkles is the annual PIT fair at the Recinto Ferial which is basically a conference centre filled with fun things for children. Always a well attended event, the Walk for Life turns Tenerife’s southern resorts pink mid December as thousands take part to raise funds for the battle against breast cancer. 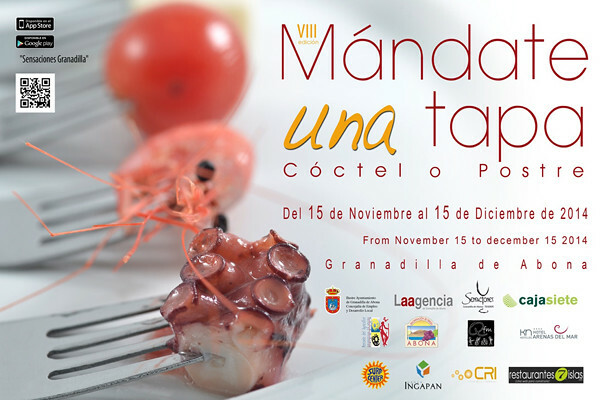 It’s a foodie frenzy in Granadilla de Abona over the next few weeks with a tapas route that has everything in it but the kitchen sink – probably only because you can’t eat a sink. 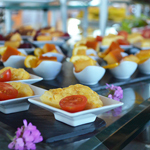 There are 36 participating bars and restaurants, including a selection in El Médano and Los Abrigos, where €2.50 gets you creative tapas and a wine or beer. You can add on a special desert for €2 and a cocktail for €3. 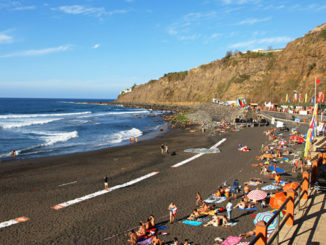 Although they lack the golden sand that many people prefer, I prefer the more rough ‘n’ ready black sand beaches of the north of Tenerife.